Cue the rookie of the year talk for Elias Pettersson. A preseason Calder Trophy favorite, the Canucks’ 19-year-old Swede scored the first goal of his career in his NHL debut Wednesday night against the Calgary Flames, doing so with flair. In a night of firsts, Pettersson added his first career assist, with a pretty no-look feed to Nikolay Goldobin for a wide-open goal 1:52 into the third period. Pettersson was the fifth overall selection in the 2017 NHL Draft. Last season, he scored 24 goals in 44 SHL games, and added five goals in seven games while helping Sweden secure a silver medal at the World Junior Championships. 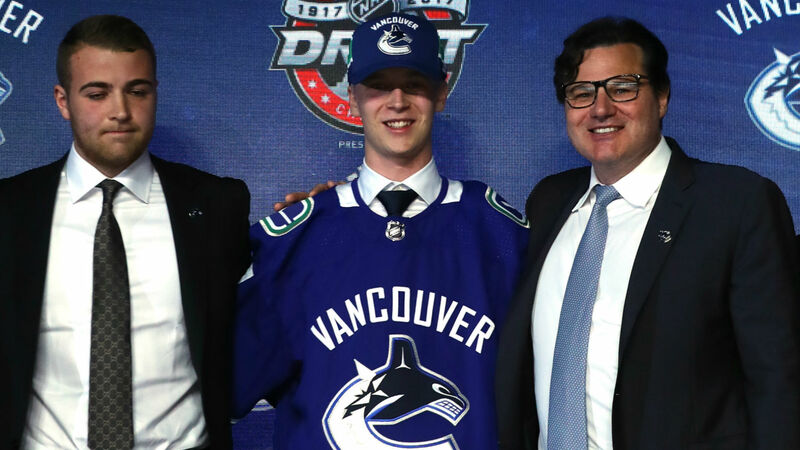 Though slight in physical stature, Pettersson has the skills to be the second Canucks rookie to contend for the Calder after Brock Boeser finished second in voting last season.